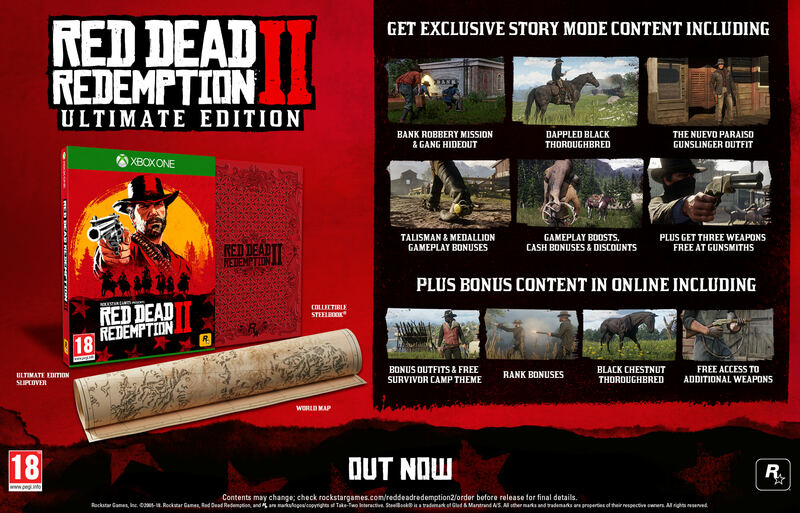 Also includes Ultimate Edition Printed World Map and Exclusive Collectible SteelBook. 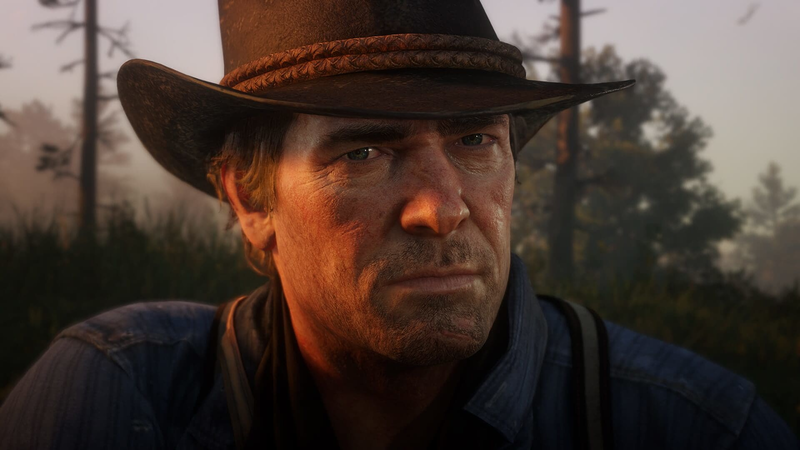 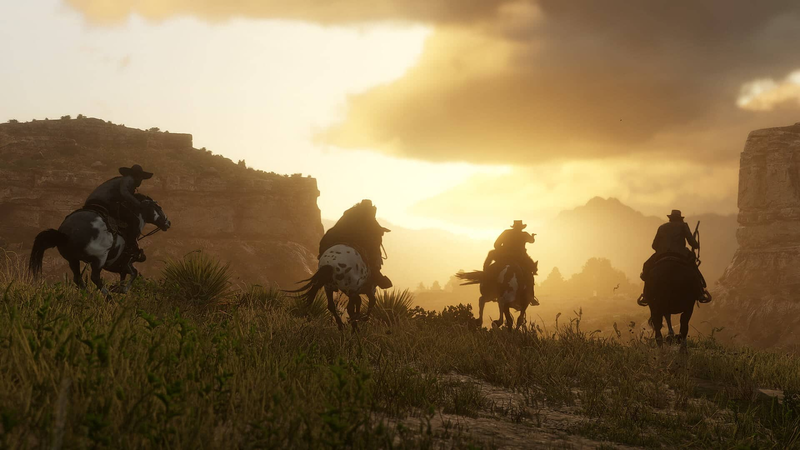 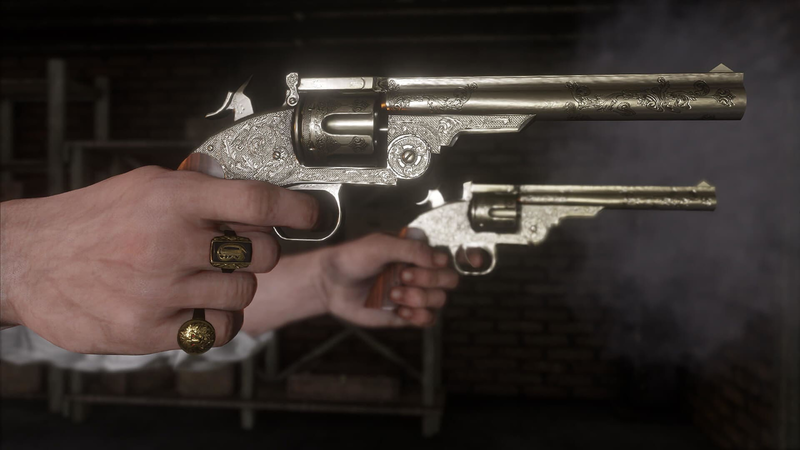 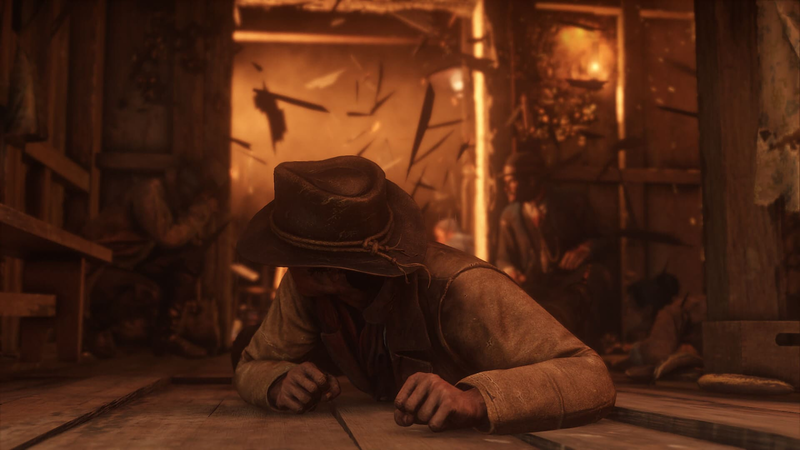 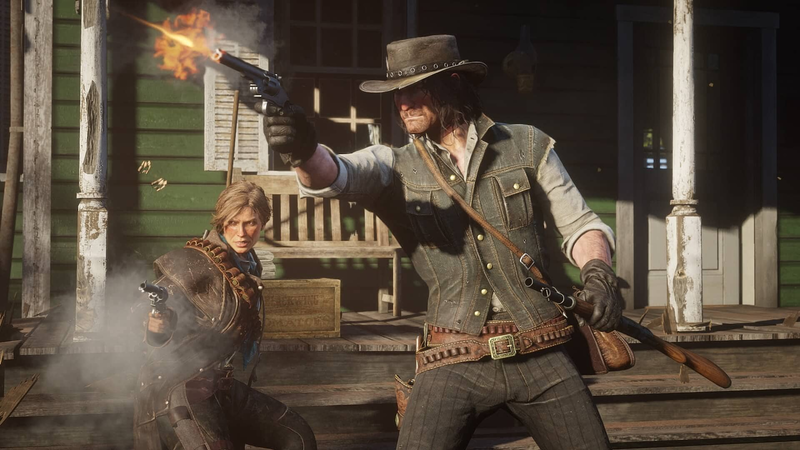 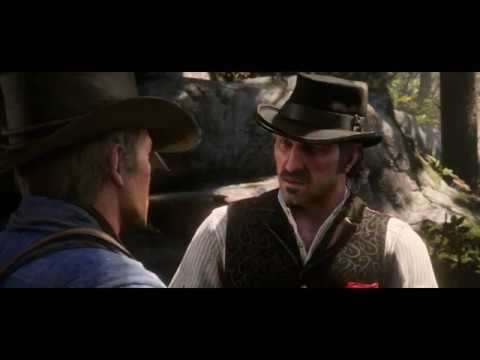 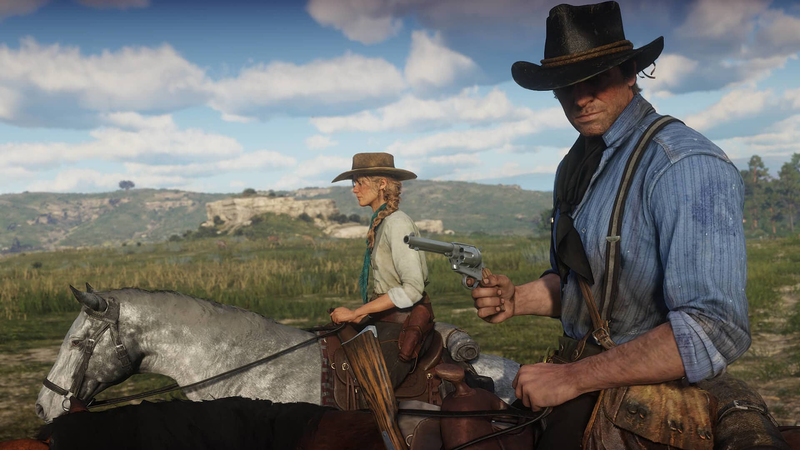 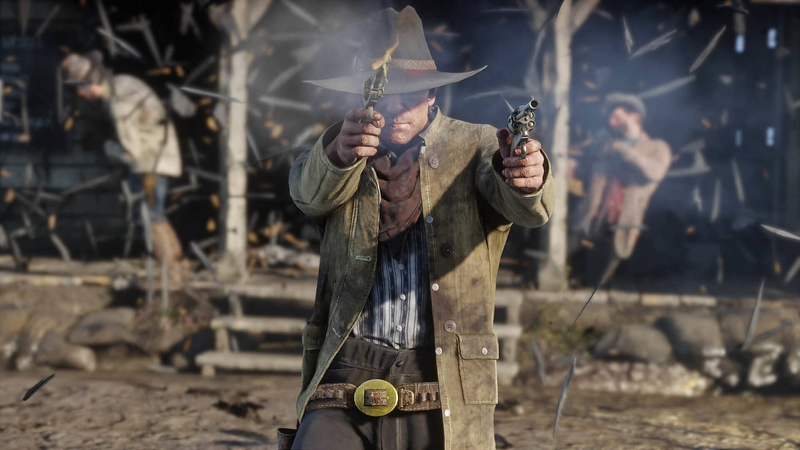 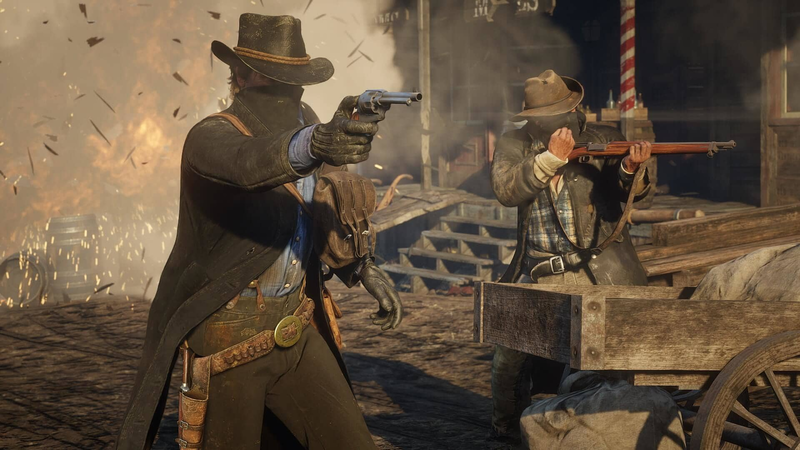 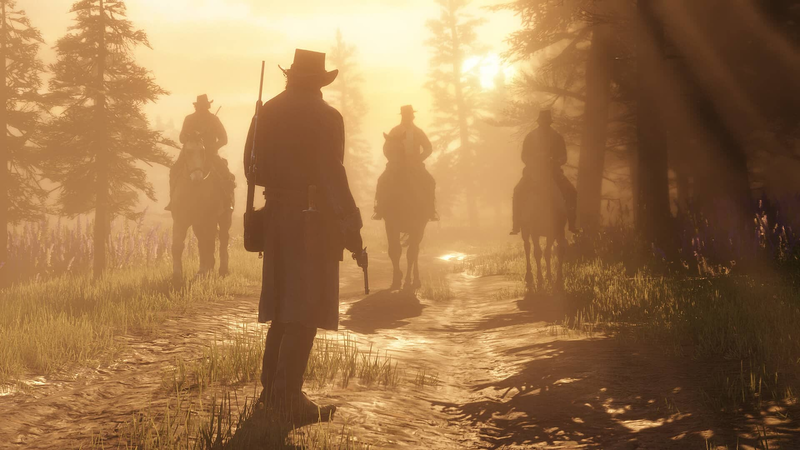 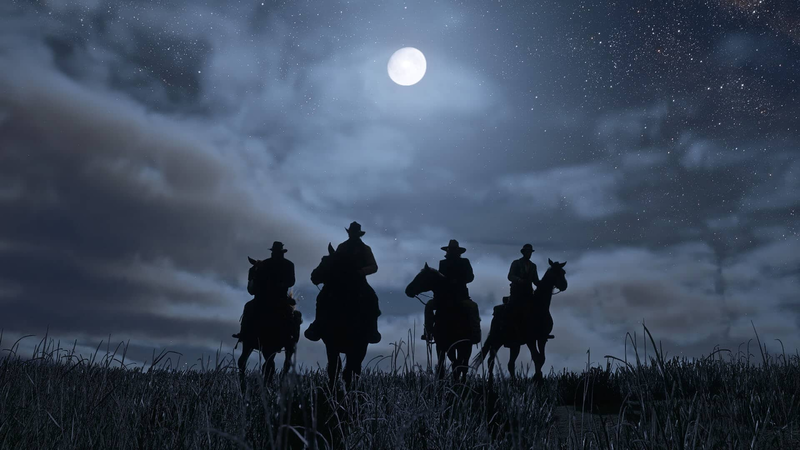 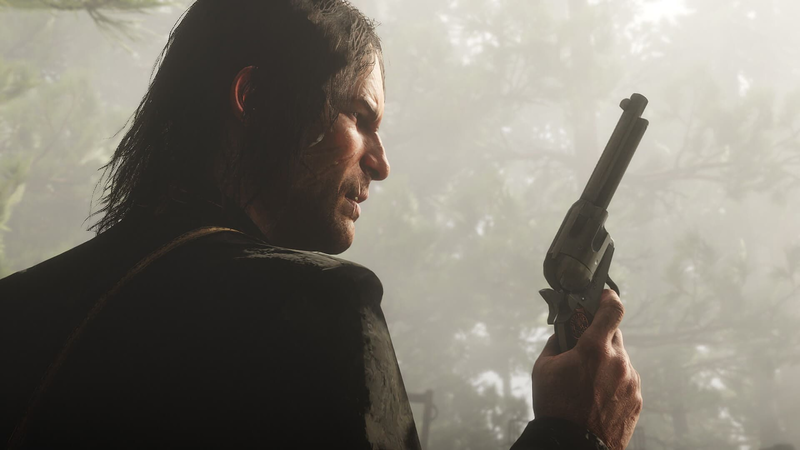 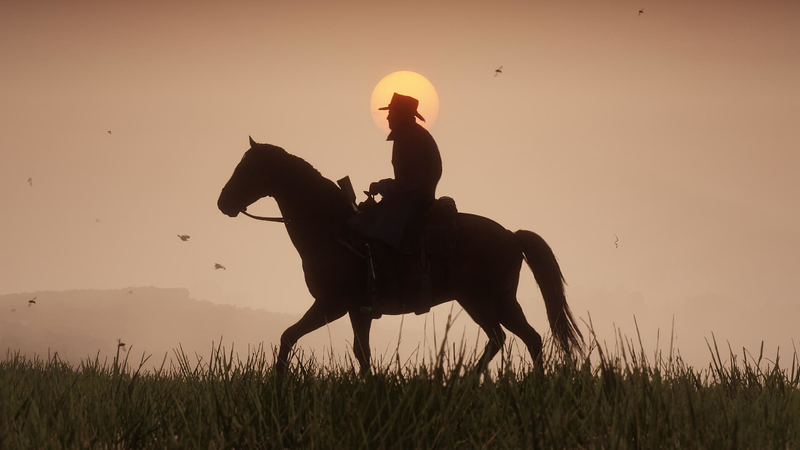 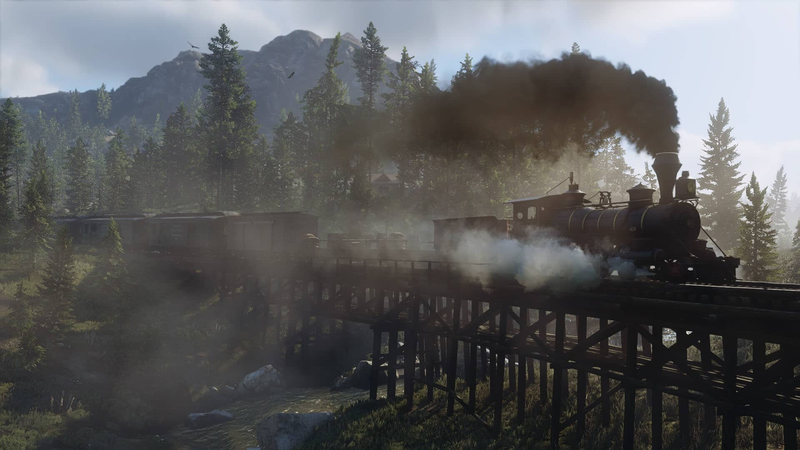 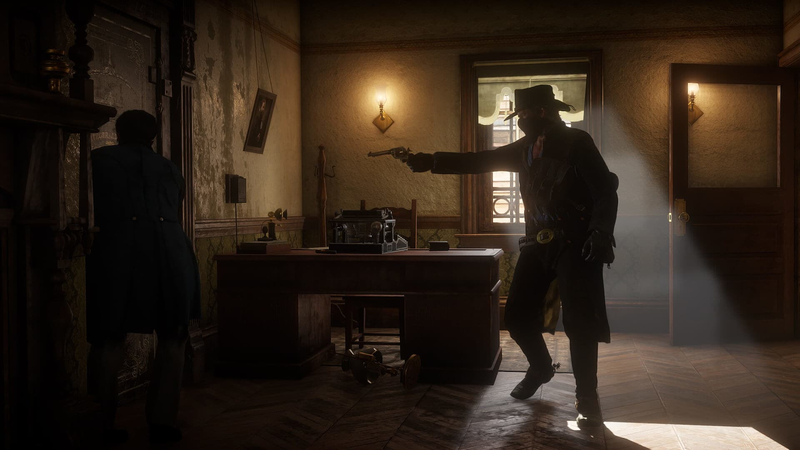 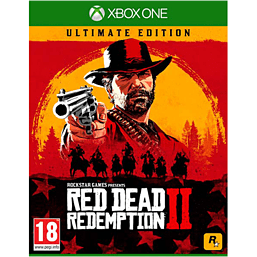 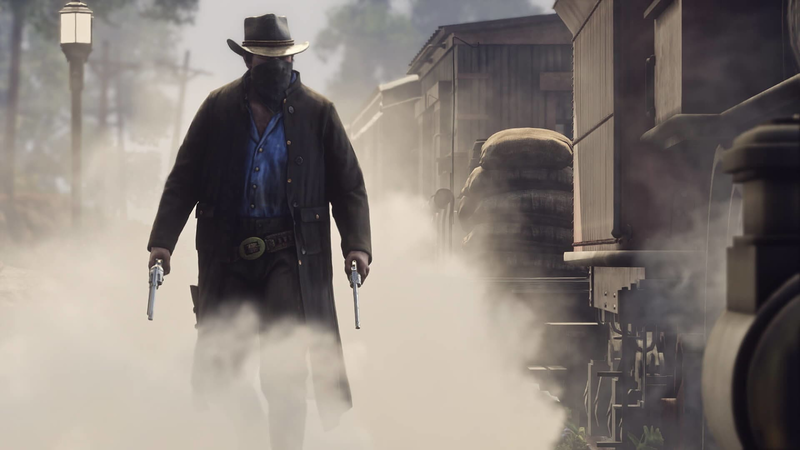 Exclusive Story Mode content includes a Bank Robbery Mission and Gang Hideout, Dappled Black Thoroughbred, Talisman & Medallion Gameplay Bonuses, Gameplay Boosts, Cash Bonuses & Discounts, and the Nuevo Paraiso Gunslinger Outfit. 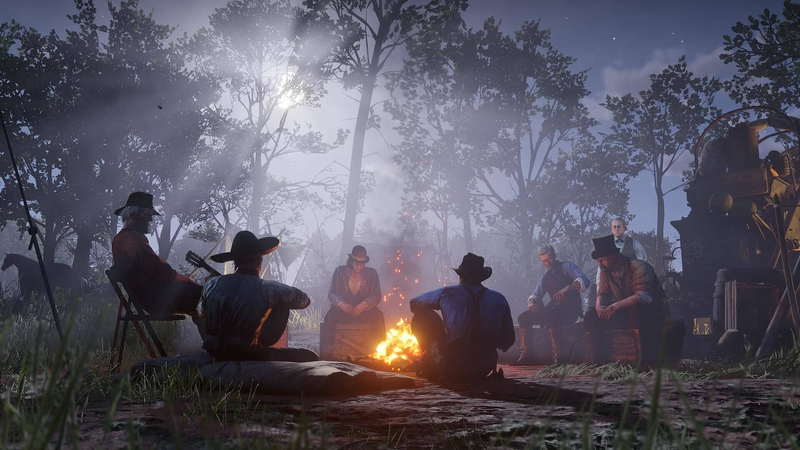 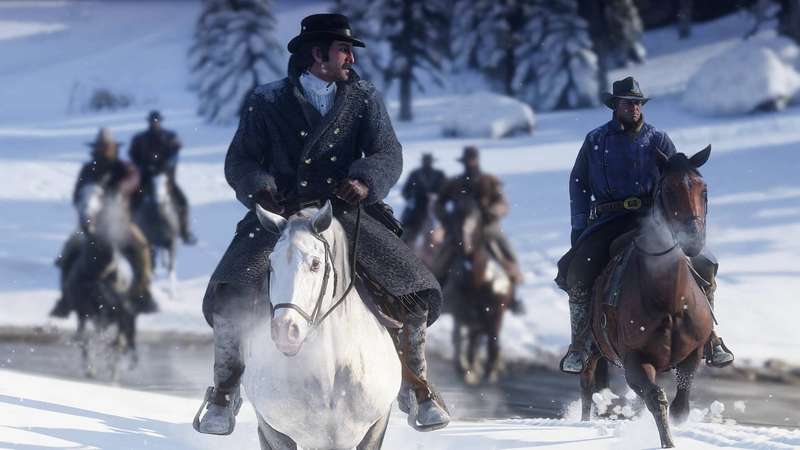 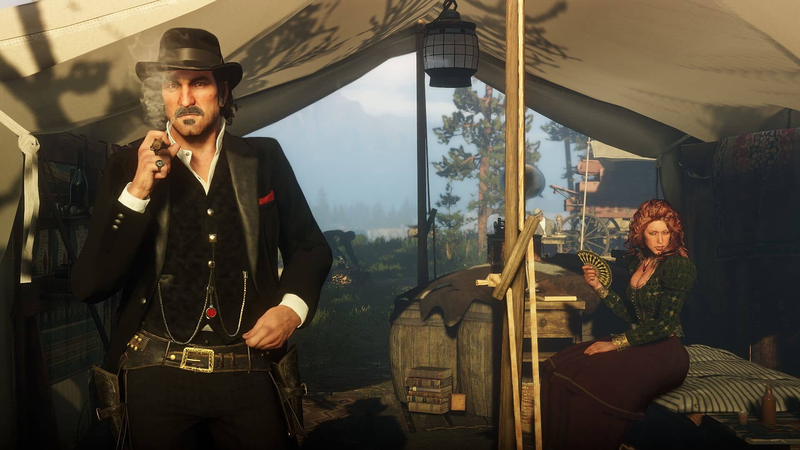 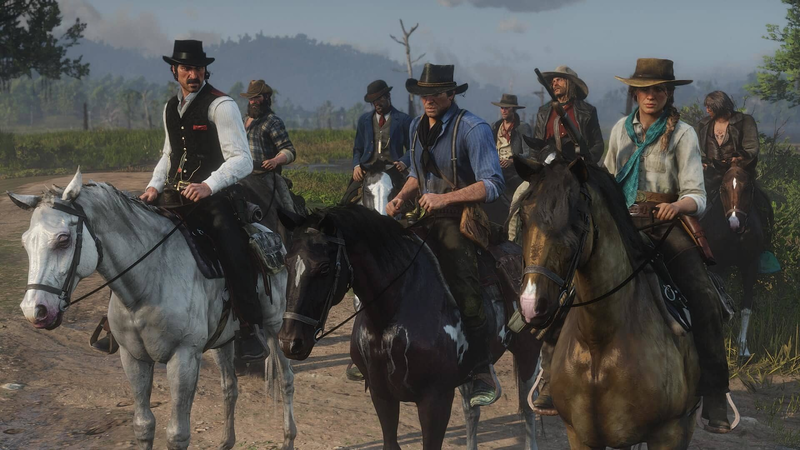 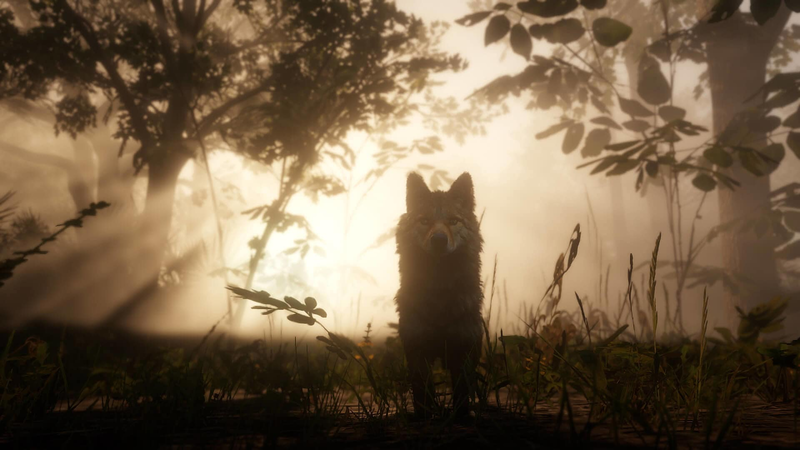 Online content includes Bonus Outfits for your online Character, Rank Bonuses, Black Chestnut Thoroughbred, free access to the Survivor Camp Theme and more.